Since 1964, Soroptimist International of St. Helena has helped facilitate bi-monthly local blood drives, first with the Red Cross and, since 1999, with the Blood Centers of the Pacific. Since that time, Soroptimist International of St. Helena, together with Blood Centers of the Pacific, has collected over 2400 lifesaving units of blood. 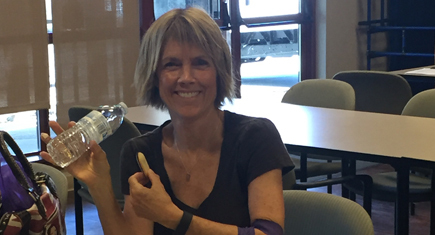 On blood drive days, which average 23 donors, our members provide volunteer support by manning the snack cantine made available to donors throughout the duration of the drive.